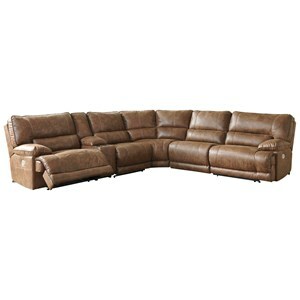 Complete with power reclining and plump, channel back cushions, this sectional is a must have addition to any entertainment space. From pillow topped armrests to USB ports, this piece has everything you need to enjoy a movie marathon or two. 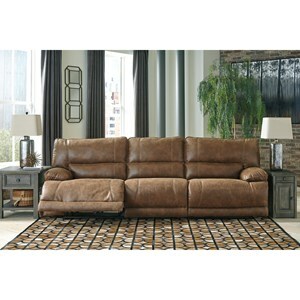 The Thurles Power Reclining Sectional with USB Port and Power Headrest by Signature Design by Ashley at Value City Furniture in the New Jersey, NJ, Staten Island, Hoboken area. Product availability may vary. Contact us for the most current availability on this product. 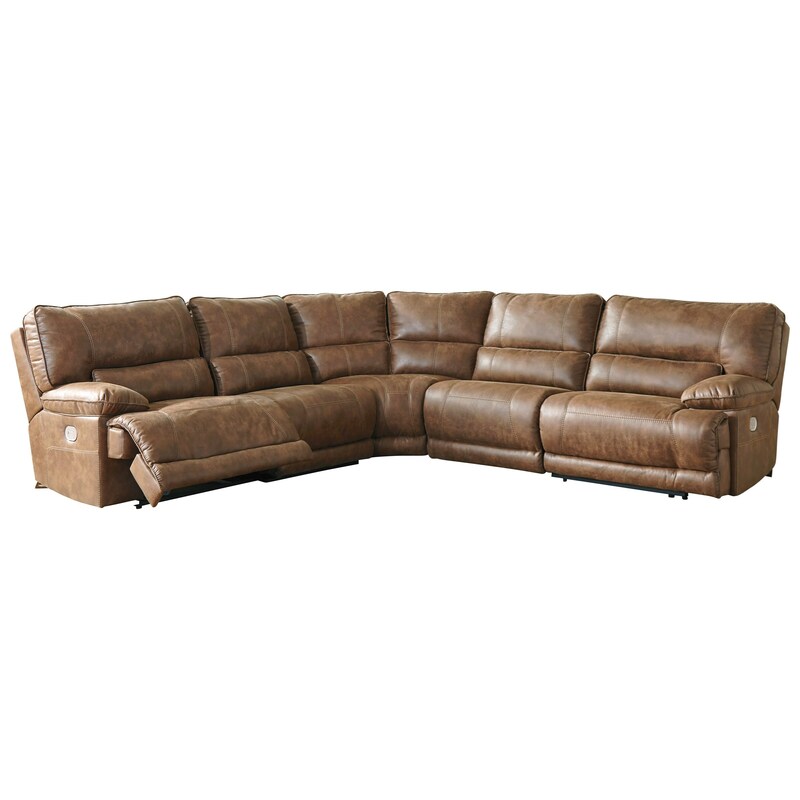 5580146 Armless Chair 1 32" 41" 41"
5580177 Wedge 1 69" 38" 41"
5580162 RAF Zero Wall Power Recliner 1 43" 41" 41"
5580158 LAF Zero Wall Power Recliner 1 43" 41" 41"
5580119 Armless Recliner 1 32" 41" 41"
Browse other items in the Thurles collection from Value City Furniture in the New Jersey, NJ, Staten Island, Hoboken area.